CACFP - Child & Family Resources, Inc. 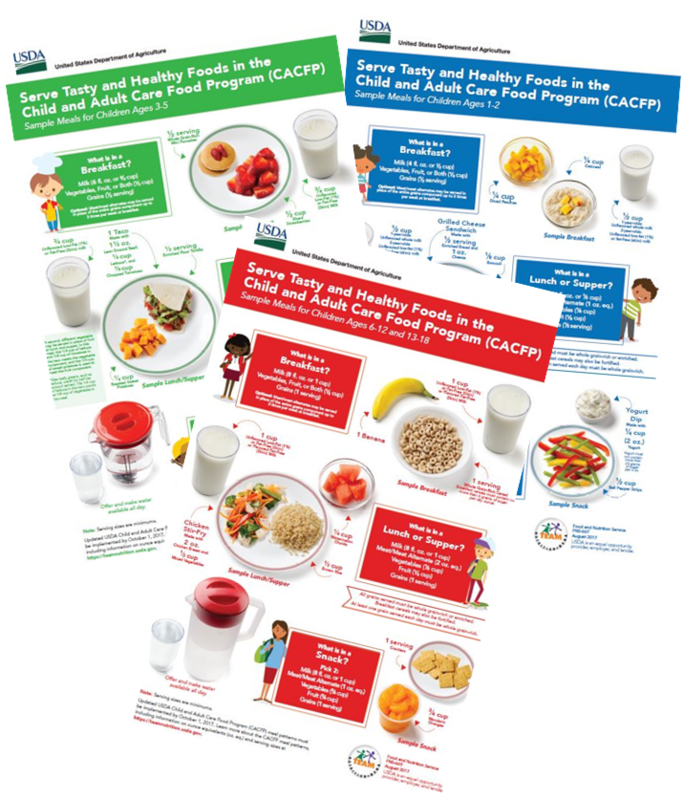 The USDA Team Nutrition has developed three beautifully illustrated posters titled, "Serve Tasty and Healthy Foods in the Child and Adult Care Food Program (CACFP)." These posters features sample meals for children with each one sharing illustrations for a specific age group. For more information on the changes, the CACFP NEW Meal Patterns document breaks down the information by age group. If you have other questions you can contact Amanda, CACFP Administrator at 315-536-1134. The main goal of this program is to insure that children in participating child care centers and family child care homes receive healthful meals and snacks and child care providers receive training in nutrition. Children and providers learn about food and healthy eating. Nutrition is an important part of good child care and a healthy lifestyle. All children need well-planned meals and snacks that provide a variety of foods and the nutrients needed for good health and energy. The United States Department of Agriculture(USDA), through the New York State Department of Health, helps child care providers pay for meals and snacks that meet nutrition requirements for breakfast, lunch or supper, and snacks. A meal pattern outlines the kinds and amounts of food that must be served. Training and educational programs are also offered to child care providers that participate on the CACFP. Child & Family Resources is a CACFP sponsor to Family and Group Family Child Care homes in Ontario, Seneca and Yates Counties. What are the Benefits of CACFP? Children are served nutritious meals and snacks and develop healthy eating habits that will last a lifetime. Parent know their children are eating safe, healthy meals and snacks. Parents don't have to pack food to bring to child care. Providers receive regular training and guidance about many nutrition, mealtime and child development topics. The reimbursement helps providers buy healthier foods. Communities benefit through CACFP. Studies show that children enrolled in CACFP have healthier diets and are not sick as often as other children. CACFP payments to providers helps reduce child care costs for working parents. Why should you join CACFP? Check out the CACFP Brochure for more information including current reimbursement rates. Civil Rights Training Requirement ! As a participant of the CACFP program it is now mandatory that all providers take a Civil Rights Training. This training is available online at http://cacfpny.adobeconnect.com/civil_rights_frontline/ Providers completing the training on-line must print out the training certificate and submit a copy (keep the original) to Child & Family Resources to be maintained in your file. Those providers not having internet access will be able to obtain certification at a regular CACFP training. Evidence shows that breastfeeding provides the best nutrition for developing infants. CACFP is collaborating with NYS Early Care and Learning Council to include the names of breastfeeding friendly child care centers and day care homes in the Child Care Aware of America (CCAOA) referral data base. 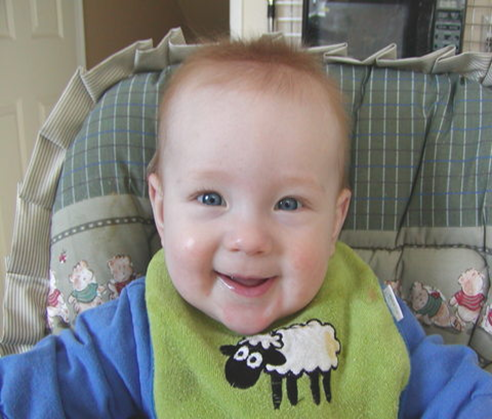 CACFP has established a process to designate day care homes as "Breastfeeding Friendly". For more information visit the CACFP Breastfeeding webpage or contact your CACFP representative.